Find places to stay in Calabasas, CA and other fun things to do. View our list of attractions, activities, events, restaurants and visitor information. With a sparkling outdoor pool and a nice price Good Nite Inn Calabasas feels just right for our guests keeping an eye on the bottom line. Free Internet,Outdoor Pool, Non Smoking Rooms. 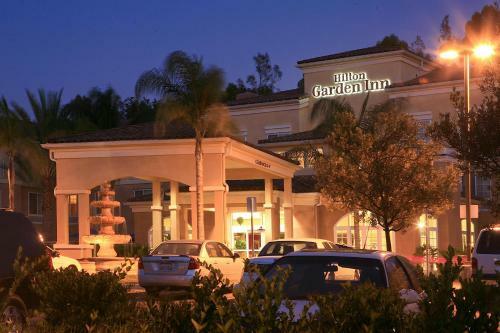 Just off the Ventura Freeway with free internet and free parking the Hilton Garden Inn Calabasas is a top choice among our guests. Free Internet, Non Smoking Rooms. Set in Malibu Malbec On The Creek provides air-conditioned accommodation with a terrace and free WiFi. The holiday home housed in a building dating from 1977 is 5 km from the Pepperdine University. Free Internet, Pets Allowed, Non Smoking Rooms. Currently as low as $930.00/night! Located in Calabasas in the California region Malbec on the Creek 2 features a terrace and mountain views. The accommodation has free WiFi.The holiday home includes 4 bedrooms a kitchen with a dishwasher and an oven as well as a coffee machine. Free Internet, Pets Allowed, Non Smoking Rooms. Currently as low as $119.20/night! Free Wi-Fi fashionable rooms with mini-fridges and an on-site restaurant are some of the popular amenities at the non-smoking Anza - a Calabasas Hotel which puts guests right off the freeway and close to shopping. Free Internet, Swimming Pool,Outdoor Pool, Restaurant, Pets Allowed, Non Smoking Rooms.